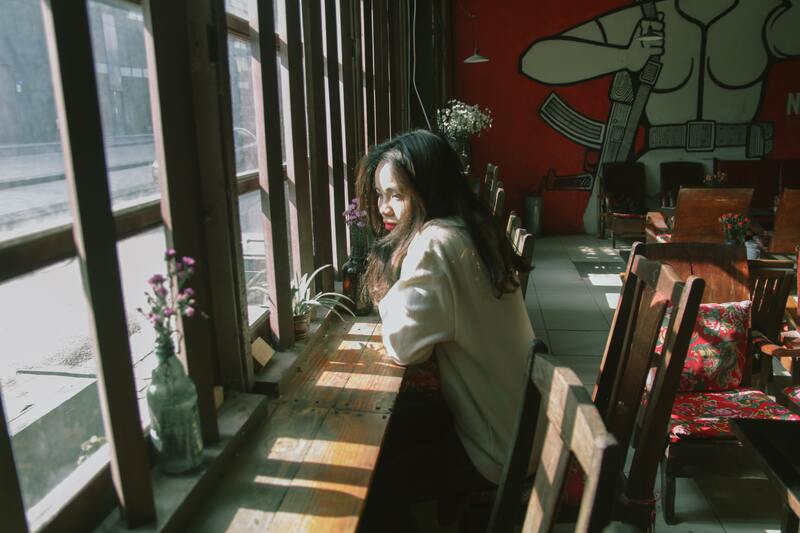 Cigna conducted the largest study on loneliness ever undertaken in the U.S. - 20,000 surveyed and found that 18-22 year olds were the loneliest generation. I conceptualized, designed, created the pitch deck and presented the idea. 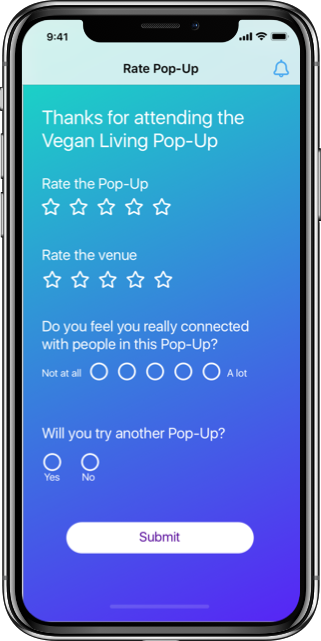 Pop-ups are small (4-8) people that anyone can host and anyone can attend around a topic or interest. They have to be at approved public places and take place 1-48 hours from being posted. "I think loneliness is a problem for our generation." At the discovery phase of my project, I shared this idea with three college students. I was curious to find out if college students would initiate pop-ups. I found they would only do it if they were freshmen(didn't know anyone), were able to network with professionals, or could use to create study groups. They suggested having their Facebook Contacts imported so they may know someone who knows someone. The idea of a group of strangers getting together was not comfortable for this age group. They also said they would like an algorithm matching people and interests. I did some quick sketches in Sketch to have screen shots for the pitch deck. 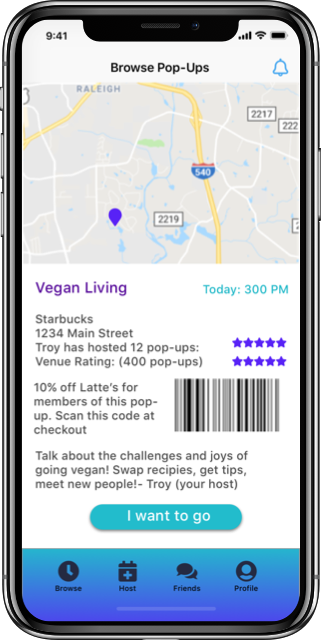 Initially i wanted to show what a sample app could look like. I chose this version with the location icon to show that these pop-ups are location based. 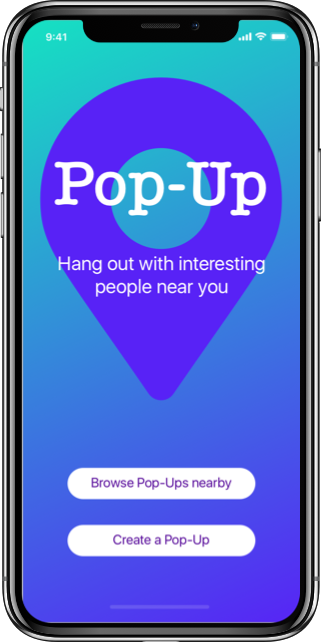 The app would send you a notification when you are near a popup with your interests. I chose the popular graduated fills to influence the user with trustworthy but lively color. Finding the right partners will be key. I learned a lot from this project. I learned to pitch innovative concepts and not to give up when confronted with barriers but to use every obstacle as an opportunity to get the idea right. I was not able to overcome these obstacles...yet. I'm already thinking of pivoting this idea to create a networking site for young professionals and college students ( spur-of-the-moment mentoring). Also creating one for spur-of-the-moment volunteering those folks who want to give back whenever they have a free hour or two. I'd also like to look into partnerships with Linked In (Higher Ed) and Starbucks.